VHS was going to be the cinema killer in the late ‘70s; and yet, 30 “DVR, Blue ray and big screen TV” years later, cinema is more popular than ever and the box office keeps growing, helped by multiplexes, 3D movies and well … buttered popcorn. 2012 was the year full of predictions about retail industry. 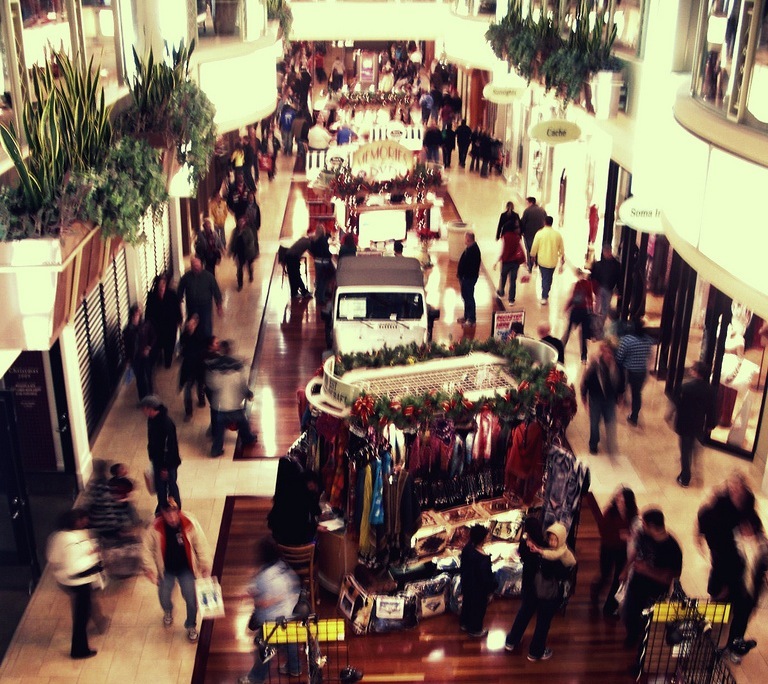 Everyone has been talking about how showrooming will impact retail and the rise of ecommerce. Mobile is disrupting the traditional retail sales funnel in a big way. What has been referred to by some as retailers’ worst nightmare, smartphones are bringing the power of the Internet right into brick-and-mortar stores, arming consumers with the pricing power that was once reserved for the confines of their home or work online shopping experience. “…Retail chains are a fundamentally implausible economic structure if there’s a viable alternative. You combine the fixed cost of real estate with inventory, and it puts every retailer in a highly leveraged position. Few can survive a decline of 20 to 30 percent in revenues. It just doesn’t make any sense for all this stuff to sit on shelves. There is fundamentally a better model. Let’s put things in perspective here…. We, the digital world, talk about amount of time users are spending on various ecommerce or other online shopping related sites all the time. Compare that with total time spent in Fry’s Electronics, Macy’s or Wal-Mart, the number may just astound you! We agree retail industry is undergoing a major change. The competition from ecommerce is real. The reduction in margins is considerable. When a strong competition emerges from a new medium, one of the two outcomes can happen. The incumbent can either come out stronger than ever as examples above or die the Blockbuster death. The retail industry has to rise to the challenge provided by its online competitors. Some new models of inventory management have to emerge. Focus on Personalization – Just as their online competitors, retailers are connecting with their users more and more for personalized offers and deals. Safeway’s just for u is a great example. Pre-shopping experience – Many online service providers are emerging to facilitate the process of discovery in early stages of purchase funnel such as online catalogues and circulars, comparison-shopping and purchasing wish lists. In-Store Experience – A lot is happening on improving the in-store buying experience with mobile POS solutions, acceptance of digital payments/coupons and in store only promotions. More and more stores are supporting ‘bricks and clicks’ – order online to pick up from the store. And let’s not forget the role the friendly salesman…the ‘buttered popcorn’ of retail. The role of an intelligent, friendly human cannot be undermined. It can make purchasing from a chore to a fun social experience. Something, that is close to impossible for online counterparts to match. Retail is going through a transformation in which ultimately the consumer will benefit. More fun, better service and, I guess, good prices. Shopping is supposed to be fun and all about discovery not price comparison and search. Mobile changes everything, and a tablet on your couch is an even bigger deal. Anyone who has been to an Apple store at this past holiday season, would not ever think or believe retail is anywhere close to death. The hubbub of lively shopping malls, the food courts, hanging out with friends, window shopping and sometimes just loitering, are all signs of healthy life. Online retailers are doing everything they can to bring that fun and discovery into shopping on desktops, tablets and mobile phones. They will have a bigger share of the pie of the retail market. So… The brick-and-mortars will survive and the fancy malls will remain. And shoppers will continue going to the malls for Black Friday midnight shopping parties – probably more than ever. Seema Sud is the Mobile Products Lead at Wanderful Media, a startup focused on reinventing online discovery shopping with a social experience. You can follow Seema on Twitter @seemasud. Ben T. Smith, IV is CEO of Wanderful Media. He is also a Venture Partner at Accelerator Ventures and co-founder of MerchantCircle.com and Spoke.com. You can follow Ben on Twitter @bentsmithfour. This entry was posted in FindnSave, Silicon Valley, Startups, Wanderful Media and tagged Discovery shopping, mobile, newspapers, Online advertising, Online Shopping, Retail, Retailers, shopping, Startups, technology, Wanderful Media. Bookmark the permalink.